For the general interest, we offer energy workshops for healing physical, emotional, mental and spiritual growth. With light and love, we are a full and complete being. It is your birthright to know who you are and what you are doing here on earth. Life is a mystery to be lived, is the thrill of the unknown that encourages the spirits to seek more meaning and happiness. Within each person's life it is flowing creation. The aim is to connect with it and awaken your spiritual power. This power is the greatest force at our disposal to transform and heal the reality that we live daily. The universal mind is stronger than the physical body the soul of every being contains all creation and is beyond the mind. Your energy of light is infinite. Remember that you're here for something bigger than making money. Continuing to serve our interests, it is not the solution, why not work for a greater good than continue to destroy the planet? The greatest pleasure and enjoyment is when the mind is quiet, and beauty is manifested in its entire magnificence. NEOREIKI-TANTRICDRAGON-REIKIKAMBO is dedicated to educating thousands of years of old spiritual in heritage with the new ones of today, trust and be confidence that you are supported in your progress. The purpose of an attunement is to enable you to draw a more powerful stream of life-force energy through your being, which will clear blocks and release old patterns. It is best to drink plenty of water, give daily treatments to your own self and perhaps take some more rest than normal, in order to assist your cleansing and detoxification process. By attending a distant Reiki class or energy workshop, you will be receiving an attunement to enable you to use the healing energies of Reiki. The Reiki attunement connects you to a group of people worldwide who are using this divinely guided healing energy to heal themselves, each other, and who are working together to send out positive energies to heal our earth. To enhance the results of a Reiki attunement, or other energy system a natural method purification for the mind, body and soul is recommended. This type of purification allows the overall body to undergo a natural cleansing in order for the Reiki attunement energies to create greater overall benefits. o Refrain from eating red meats, fowl or types of seafood without scales, for three days prior to the attunement. These foods often contain antibiotics, hormones and toxins that can unbalance your system. o Drink lots of water and pure fruit juices to promote a natural flushing of the body. Water is a natural conductor of energy and also helps to rid the body of toxins. If you already are a vegetarian or have experience with fasting, a water or juice fast for one to three days is excellent. o Minimize or stop the use of caffeinated drinks. Caffeine can create imbalances in the nervous and endocrine systems. o Use no alcohol for at least three days prior to the attunement. o Minimize or stop using all forms of sweets, especially chocolate. o If you smoke, cut back, and smoke as little as possible on the day before and of the attunement. o Meditate or simply spend some time in silence each day for a least a week prior to the attunement. o Reduce or eliminate time watching television, listening to the radio, and reading newspapers. o Spend some time releasing any anger, fear, jealousy, hate or worry you may have. o Go for quiet walks or spend time outside being with nature. o Be more attentive to the subtle impressions and sensations within in the world and immediately around you by contemplating colors, smells, sounds and take some time to flavour each experience. o Create a sacred space of divine white light within and around you. Focus on seeing yourself and others through the eyes of unconditional love. Initiations and attunements can be presential, or remote, a manual of each workshop will be delivered. Assistance will be given during and after each workshop. Please write me with any comment. All life has an energy signature. To start tuning into energy, you have to work out how and what each energy feels like. The simplest energy to start with is the male-female energy - you have a 50% chance of geting it right. A male dog, will feel like a male human, which will feel like a male god, a male angel and also feel like a male deva. Start with trying to pick up a similar energy across males or females in your life - birds, pets, humans, devas etc - there is a common feel. When you are ready, then start trying to as certain other energies. There are other energies associated with each race. Even human races have their own energy signature. All deva's, angels, elementals, mythical creatures etc have their own energy signature. A large number of universal energies are conscious - ie you can have an intelligent conversation with them. Others are tools to be used, they can be shaped and channelled to assist you. Universal Love Energies - There are many forms of Love Energy in the Universe - Reiki being one form - But there are many other types that can be accessed and used. The deva's have said that Love is the most powerful healing force in the Universe. You are in a relaxed state of mind and body. into Mother Earth. Allow these rods to travel all the way to the center of the molten core and as you see the rods arriving, allow them to turn into anchors so that they may fix you to the Earth energies. Feel the energies of Mother Earth rising through these rods into your legs and up into your heart center and allow the energy of Mother Earth to be centered in your heart. 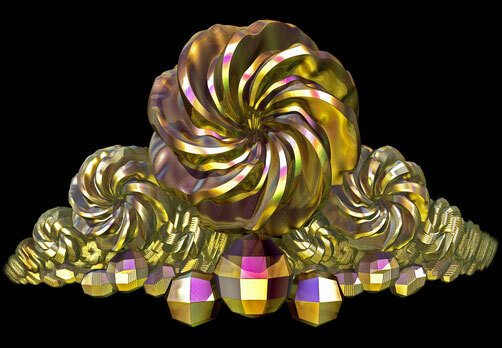 Imagine, sense or feel that coming down through the Universe a golden beam of crystalline liquid light from the Great Central Sun penetrates the top of your head through your crown chakra. Traveling down through your third eye, throat and into your heart where it mixes and blends with the energies of Mother Earth allowing each to resonate in balance and harmony.